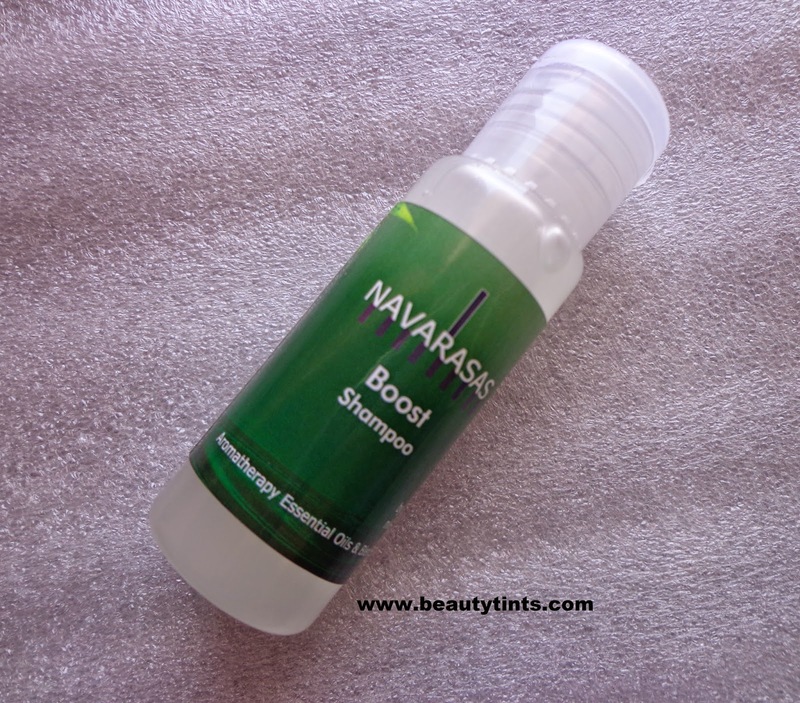 I have already reviewed the massage oil and Body butter from the Navarasas before and Today I am reviewing Navarasas Boost Shampoo,which I took along with me during my recent trip. What the Brand Says : Our mission at Navarasas is to rekindle man’s love with nature. The use of all natural extracts is our way to reunite with Mother Nature, while enriching lives with wholesome wellness & healing of the body mind & soul.You can check out more about them and their products on their Website as well as on their Facebok page. 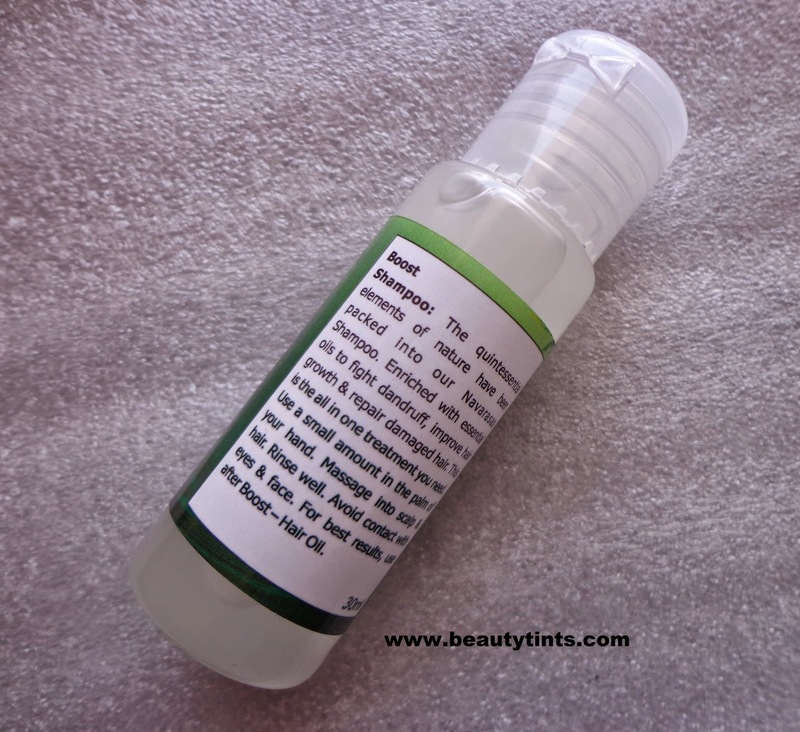 Price and Quantity : INR 599 for 200 ml. You can buy it here. 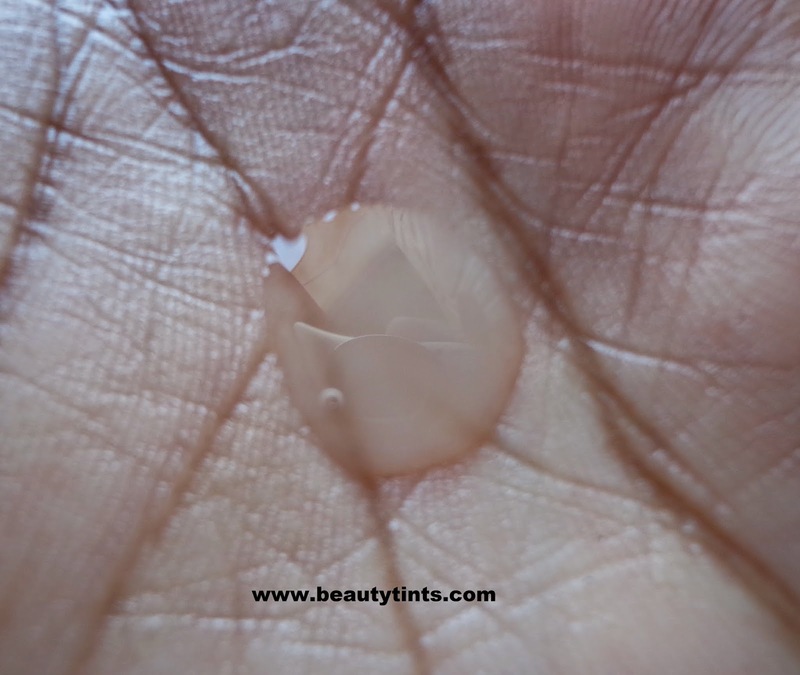 Usage : Take a small amount in to the palm and massage into the scalp & hair.Rinse well. 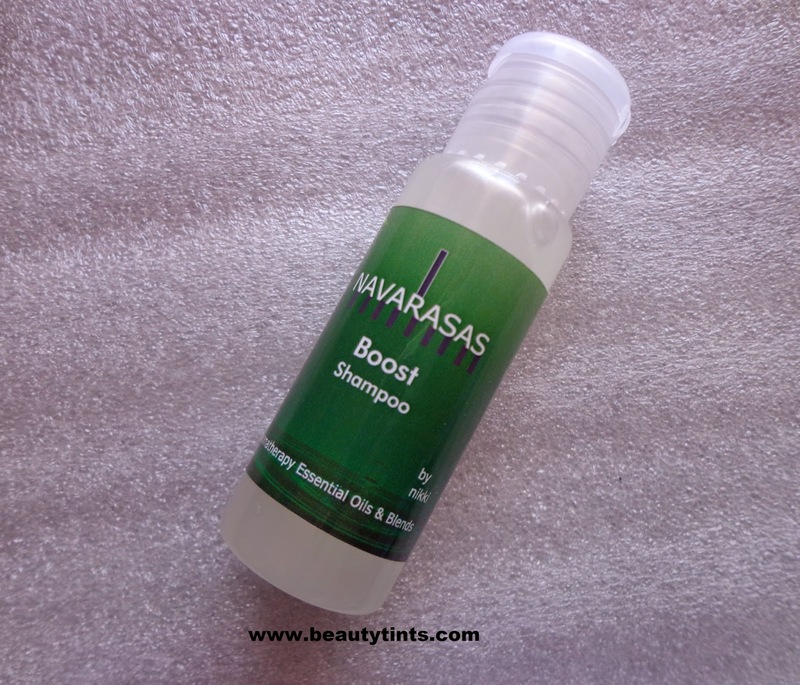 What the Product Claims : The quintessential elements of nature have been packed into our Nvarasas Boost Shampoo.Enriched with Essential oils to fight Dandruff,Improve Hair growth & repair damaged hair. 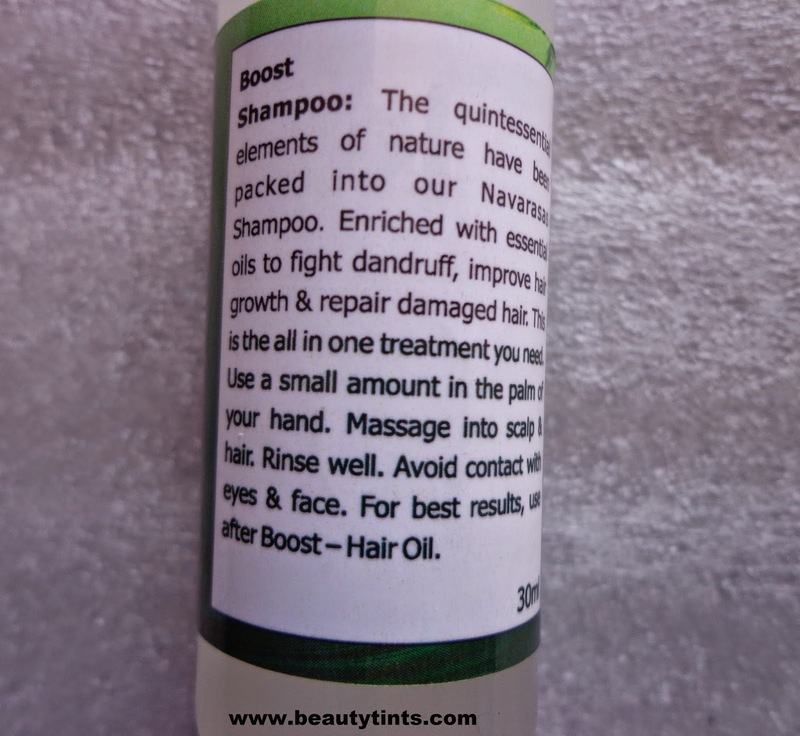 My View on the product : This is one of the best shampoos I have used so far. A very little is needed every time and this 30 ml bottle lasted me for about 7-8 washes.It looks similar to lemon juice .It has an super refreshing Citrus Fragrance,which I loved.It lathers decently and cleanses the hair thoroughly making it completely clean with out leaving any oil or greasy residue behind.It gets rinsed off easily.It gives a nice bounce to the hair adding a bit of volume.It is all natural,made up from essential oils which helps in promoting hair growth and preventing dandruff.I have noticed very less hair fall when using this and it helped my oily scalp very much in keeping it oily free for more than 3 months.I am planning to buy a full sized product soon.It may be a bit drying for extreme dry hair but suits perfectly for normal - oily hair. Conclusion : A good shampoo which cleanses the hair thoroughly in all natural way.Highly recommended for oily scalp people.